TechValidate is a fast-growing enterprise software company. We invented a new category of marketing software, and we're having fun along the way. Content is the fuel driving most marketing activities today, including social media, inbound marketing, and demand generation. Compelling content is an essential tool to help move prospects along the buyer's journey to a closed sale. Nonetheless, the creation of high quality content currently remains a time consuming and laborious process for marketing departments. Notably, content marketing is one of the few marketing disciplines that has yet to be automated. TechValidate is a pioneer and leader in the marketing content automation field. Our on-demand offering is the first and only automated platform that collects and transforms customer experience data into credible content (case studies, ROI analyses, customer testimonials, customer reviews) for use across all key marketing and sales communication channels. Unlike other content marketing offerings that focus solely on managing the process of creating content, TechValidate is the industry's only solution that systematically creates actual marketing content. TechValidate acts not only as a marketing content automation platform, but also as a trusted authority for the data our platform publishes. We have developed stringent process control and verification technology to ensure the authenticity of the data we collect. TechValidate was founded in 2007 by Brad O'Neill and Steve Norall, industry veterans who have spent their careers building world-class software companies, and is headquartered in Emeryville, CA. 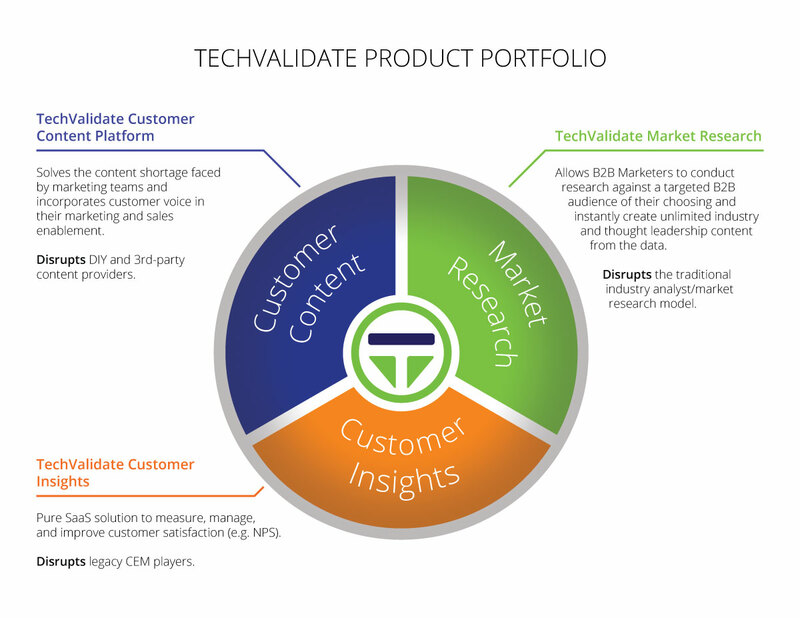 In August 2015, TechValidate was acquired by SurveyMonkey, the global leader in survey software. Read about the announcement on our blog and on the SurveyMonkey blog.